WordPress started as a blogging system, but now has become a full content management system (CMS). Since WordPress is a free open source program, it has become the most popular CMS on the Web. It has huge number of third party plugins and themes. WordPress currently one of the most popular blogging platform available on the internet. 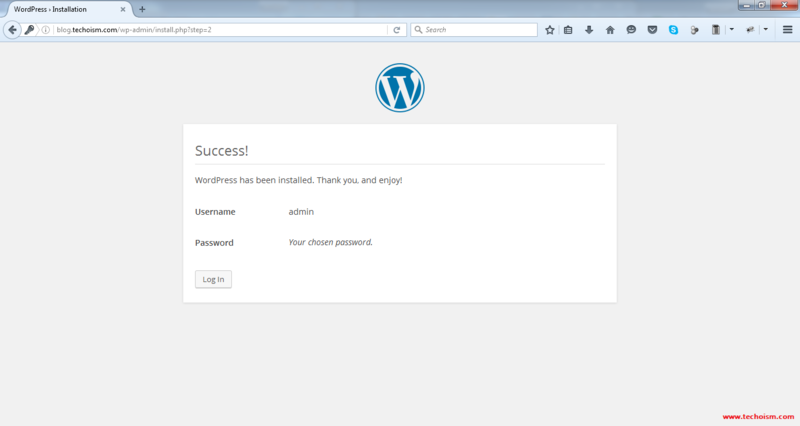 In this article, I will show you how to install WordPress on CentOS/RHEL 7/6/5. You’ll need to have a LAMP (Linux, Apache, MySQL, and PHP) installed on your CentOS/RHEL server. If LAMP hasn’t installed or configured on server, you can use below articles to install LAMP. Next, start the service to reflect changes. WordPress content can be downloaded using the commands below. Once the download finish, run the following command extract it. 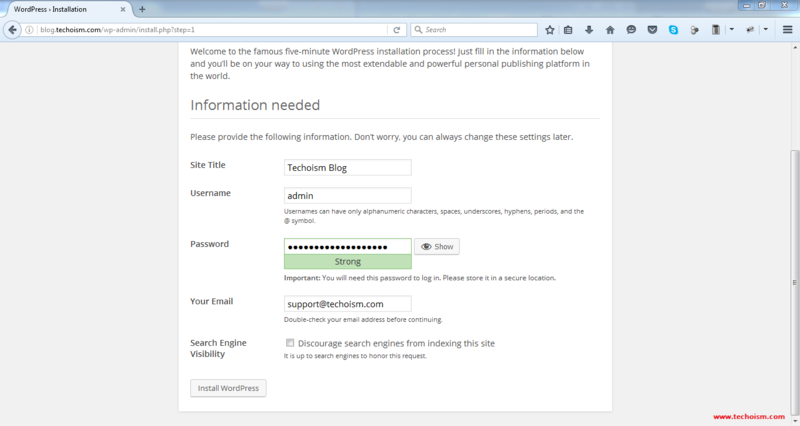 Next, change the permissions and ownership of the WordPress content folders. Now create a mysql database and user for wordpress. Use following set of command to create database and user. Next, restart the Apache service to reflect changes. 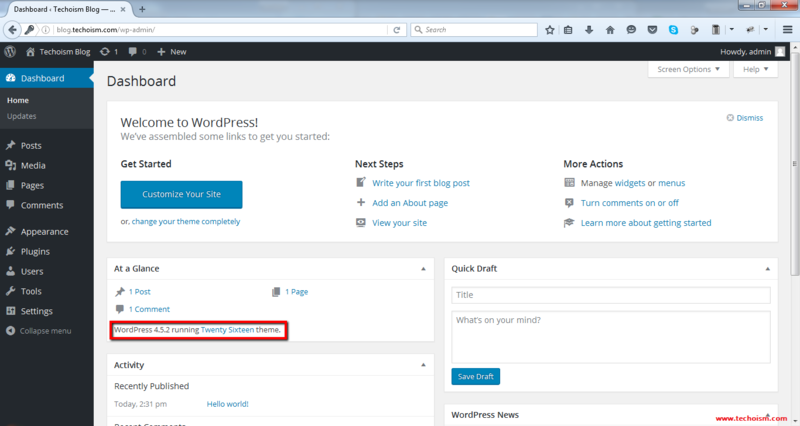 Use following command to configure WordPress installation. Open wordpress configuration file and change MySQL setting. Open your browser and type any of the following address. Give your Site Title, Admin User, Admin Password, Enter Your E-Mail and then click on Install button. 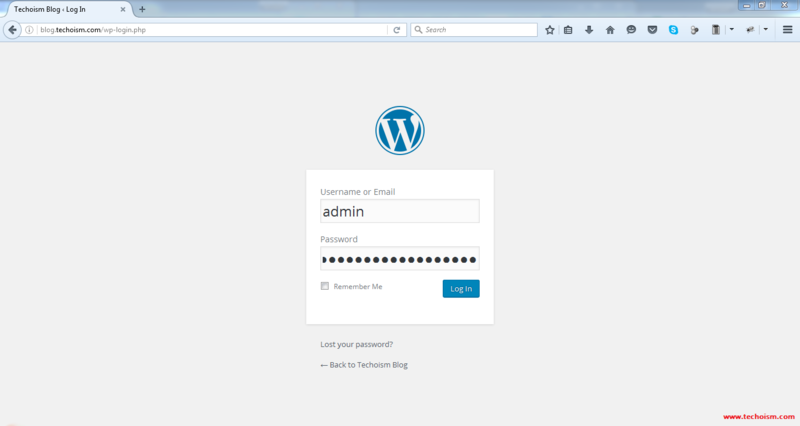 Login into your WordPress Dashboard. 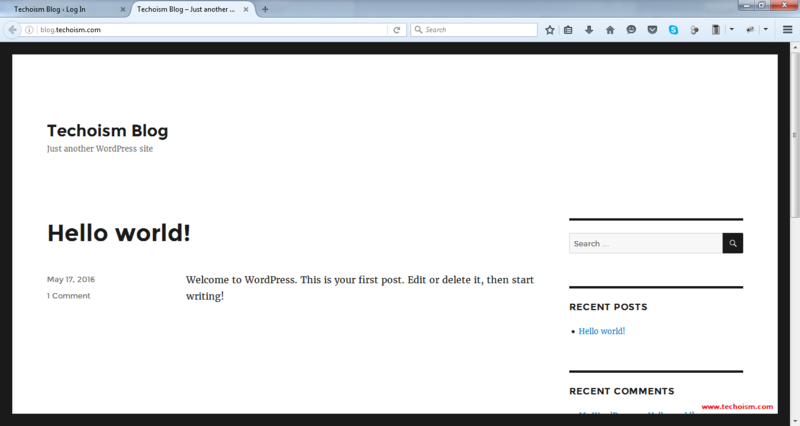 View your WordPress blog Dashboard. View your New WordPress blog.